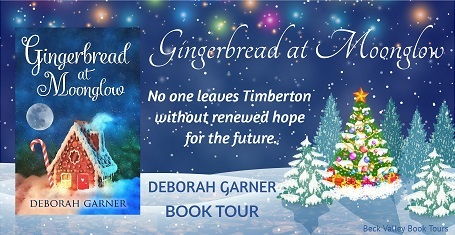 Gingerbread at Moonglow by Deborah Garner is such a warm and feel good story! It started off right away with a warm and comfy beginning that made me want to cuddle up in my blanket and read all night! I felt so snug reading this and truly enjoyed it! The Timberton Hotel is a hotel in Timberton, Montana, that is having a big gingerbread making celebration. Most of the guests have been visiting this hotel for years, so you get a feel of a tight nit group! 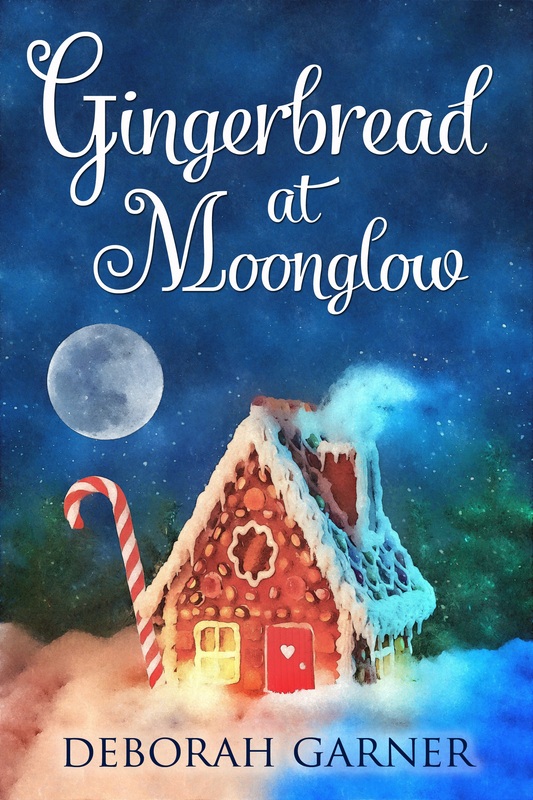 I loved imagining decorating a huge gingerbread house and loved how all the characters seemed like old friends of my own! The characters are lovely, and Mist makes it a point to make each guest that comes through feel at home and welcomed! I love Christmas and this story fits right into my vision of how Christmas should be! It’s filled with joy, love and friendship! 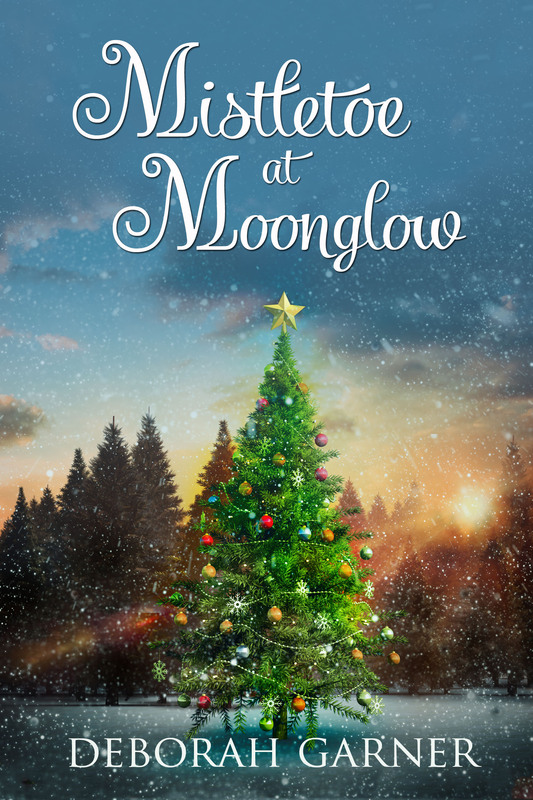 This book can be read as a standalone, but I plan on going back and reading all the Moonglow books! 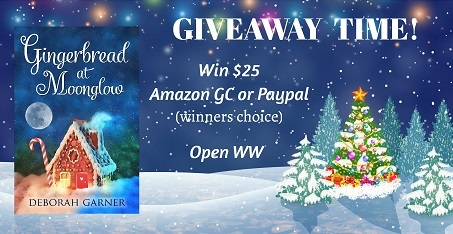 If you love Christmas, you will LOVE this book! 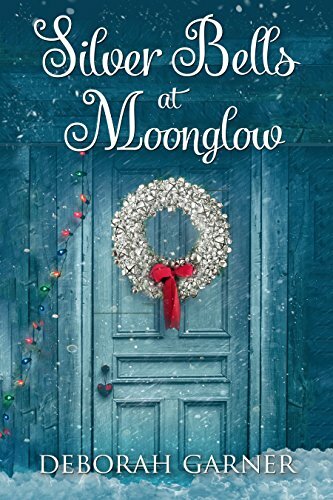 You will get all the delightful Christmas feels in this read! This is a beautiful Christmas story that had me attached to the story line from the very beginning. I immediately fell in love with Bella and her two pets who seem to keep her pretty busy. She was born with cerebral palsy and lives vicariously through her twin sister, Tally, who was not born with cerebral palsy. Bella witnessed her sister fall in love with Lucky and get married, and desires the same kind of love for herself. 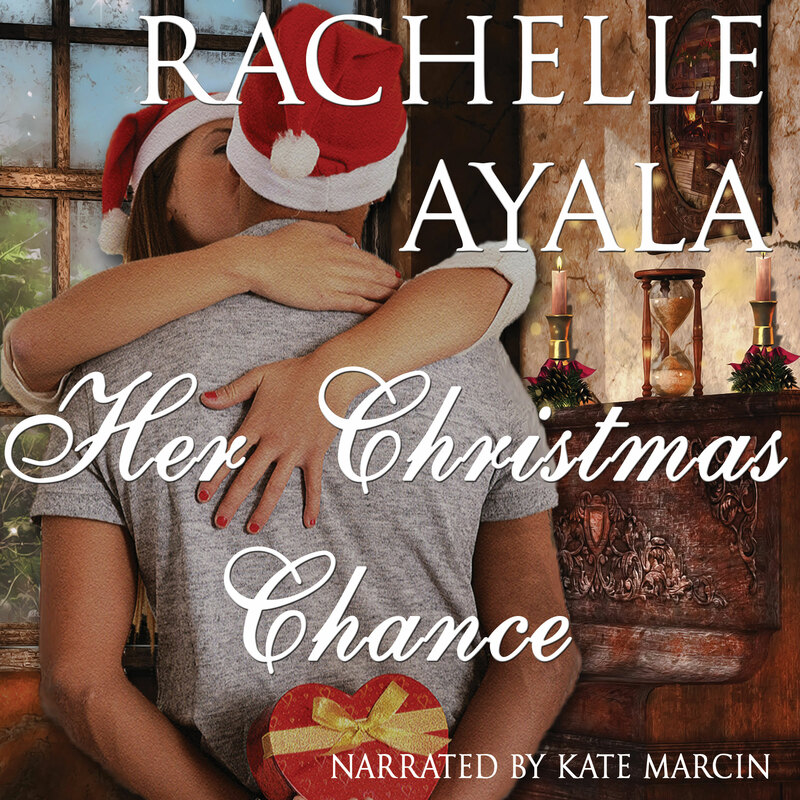 Bella soon finds herself falling for Lucky’s bad boy brother, Chance. As Bella is falling in love with chance from a distance, her cat, Mr. Klutz, is falling into Chance’s work space and causing a huge mess. Will Mr. Klutz’s destruction bring them together or will Chance’s bad boy past tear them apart? 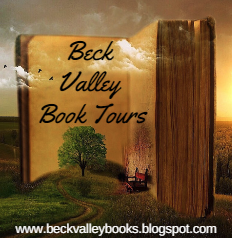 Such a great story that will keep you turning pages with anticipation! I enjoyed that this book left me guessing. Every time I thought one thing would happen, something else would. It was a beautiful and well written read. I plan on reading the other books in this series. It was such a fun standalone book, but it made me want to get to know these wonderful characters more! I rated this book 5 out of 5 stars! It’s a wonderful Christmas read that will make you feel super warm and fuzzy inside! 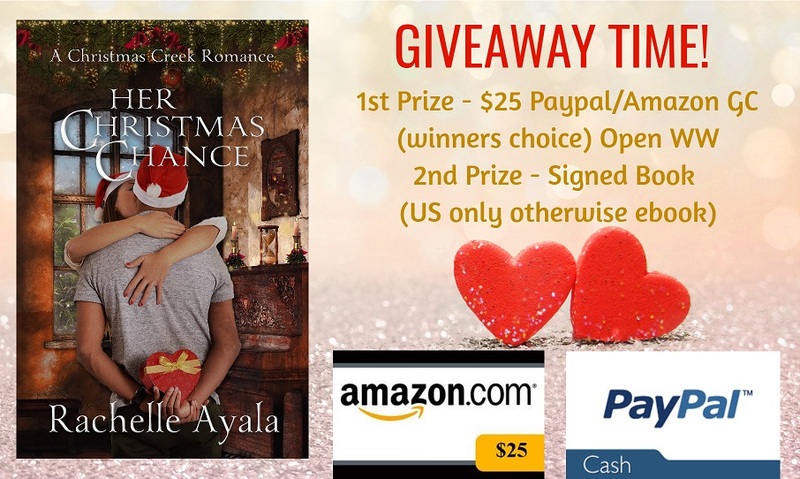 I would encourage any Christmas fan to read this book….and don’t forget to cuddle up by the fireplace with a warm cup of hot coco! Enjoy! 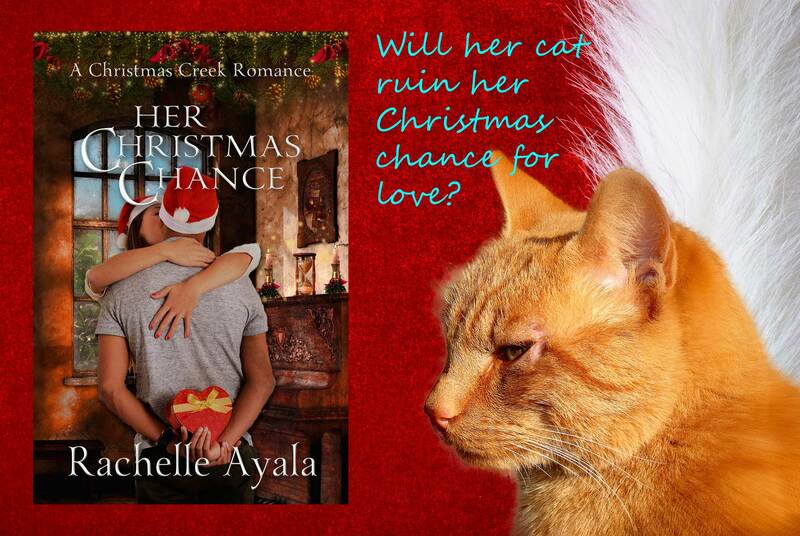 Will her cat ruin her Christmas chance for love? Bella Tallahan has always hidden behind her twin sister, Tally. She was born with cerebral palsy and even though she has finished college, she lives vicariously through her sister’s adventures. It worked, until her sister married writer Lucky Lenigan, and Bella developed a crush on Lucky’s brother—a bad boy with a shady past. Chance Martin made one mistake growing up—one that landed him in prison. After his release, he spends his days restoring antique furniture and his nights alone. When Mr. Klutz, Bella’s fat tabby cat, wreaks havoc in the furniture workshop, Chance confronts Bella and finds himself with a dilemma. He’s not the right kind of guy for a woman with disabilities, but at the same time, he can’t get her out of his mind. 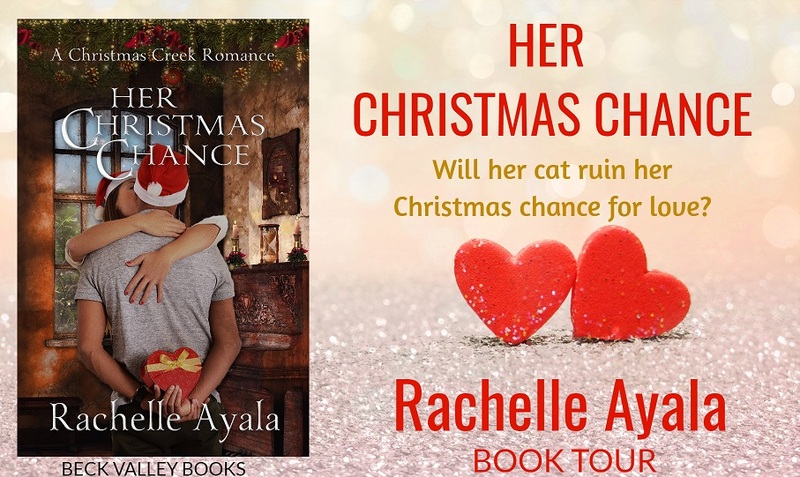 Will the trail of destruction left by one naughty cat bring Bella her Christmas chance for love? Can Chance rise above his past and convince Bella that she is truly worth loving? Or will the secret he is keeping horrify Bella enough to send her back into hiding? 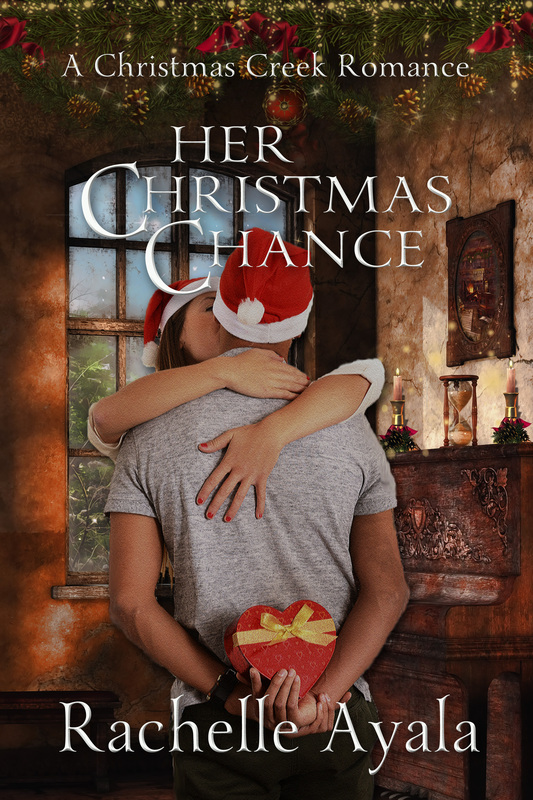 Author’s Note: Although part of the Christmas Creek Romance Series, Her Christmas Chance is a complete and standalone story. Bella Tallahan appears in a previous story, Lucky in Laguna, where her sister Tally Tallahan meets and falls in love with Lucky Lenigan. 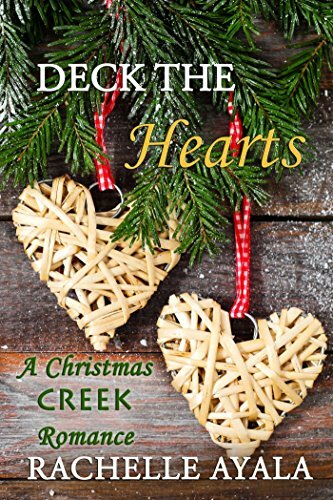 Opposites attract and sparks fly in the delightful small town of Christmas Creek. 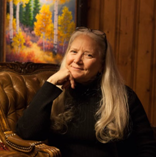 Rachelle is an active member of the California Writer’s Club, Fremont Chapter, and a volunteer for the World Literary Cafe. She is a very happy woman and lives in California with her husband. 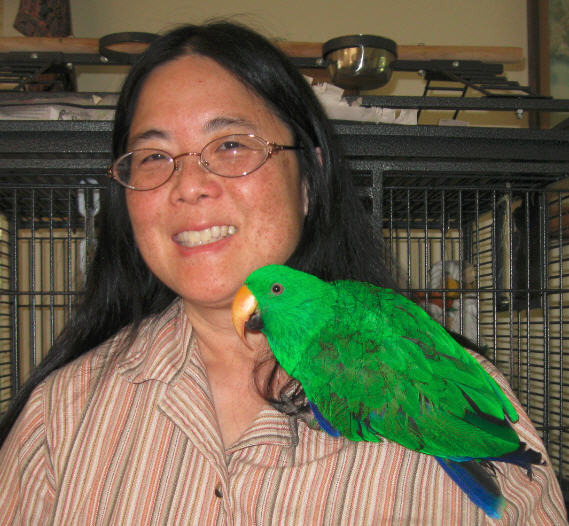 She has three children and has taught violin and made mountain dulcimers. Sign up for her NEWSLETTER to get a FREE surprise ebook (or two), and her latest book news HERE!